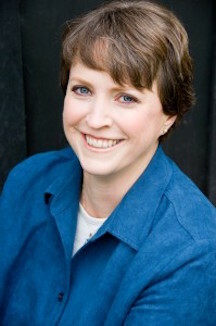 Kristen McKendry is the author of several books in different genres. Her titles include The Song of Copper Creek; The Governess; Beyond the White River; Heart’s Journey; Promise of Spring; Desperate Measures; The Worth of a Soul: From Muslim to Mormon (with Ayse Hitchins); The Ties that Bind; Garden Plot; and The Holy Ghost Can Help. McKendry began writing in her teens and has published in both the United States and Canada, where she currently lives with her three children. She holds a bachelor’s degree in linguistics from Brigham Young University. Her interest in sustainable living, environmental issues, and urban agriculture, are often background themes for her writing. She is a member of The Church of Jesus Christ of Latter-day Saints and a native of Utah. She won the 2012 Mississauga Arts Council MARTY Award for Established Literary Arts, and her book Garden Plot was nominated for the 2011 Whitney Award for excellence in LDS fiction. This page was last edited on 1 August 2017, at 16:16.